Entry filed under: change, Consumer behavior, Consumer Trends, Evolving India, Technology. A Placement Puzzle	Can we can the crocodile tears and fake caring now ? 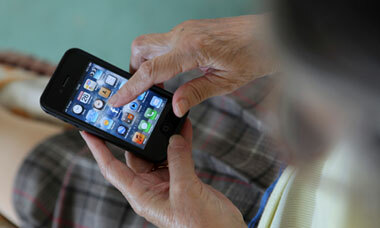 Technology has become much more user friendly as well which makes it easier for older people to learn to use them. A lot of features in Apple products are intuitive and easy. Even my grandmother has taken to the iPad and iPhone so she can stay in touch with her grandchildren and Facetime with her great grand children who are spread across three continents. Agree with you, the intuitive features do make it easy for older folk to use them. A friend recently mentioned to me how her mother refused to get a blackberry, but managed to figure out her daughter’s iphone on her own, ditto for the ipad, and now has one of each. Did the Mac fanatic Nikhil dictate that to you ?